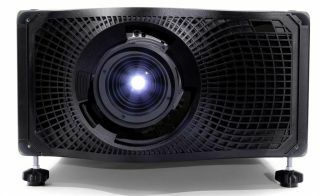 Hexogon Solution has added 80 units of the Christie Boxer 4K30 and 15 units of the Christie Roadie 4K45 3DLP projectors to its fleet of Christie projectors to further improve its rental staging capabilities. This acquisition of 80 Christie Boxer 4K30s, the largest single purchase by a rental staging company, is poised to raise Hexogon Solution’s profile in Southeast Asia. The Boxers and Roadie 4K45s will be used for the company’s various large-scale outdoor events scheduled to take place in Singapore and the region. Hexogon Solution also invested in the Pandoras Box product family from coolux, which was acquired by Christie in January, to deliver 3D visualization and compositing solutions through the Christie Boxer 4K30 projectors. The Boxer 4K30-Pandoras Box combo enables the rental staging firm to create both continuous and noncontinuous digital canvases, and manage the content that flows onto these canvases. Hexogon Solution has used Christie’s visual solutions in a number of large-scale events in Singapore, such as the National Day Parade at the Marina Bay Floating Platform over the past three years, where it provided projection mapping and multimedia contents for the main performances using the Christie Roadster HD20K-J 3DLP projectors. Hexogon was also responsible for delivering a projection mapping show on the facade of the Fullerton Hotel and the iconic Merlion Statue during the Marina Bay Singapore Countdown 2015 event on Dec 31, 2014. Weighing less than 150lbs (68kg), Christie Boxer 4K30 is a 30,000 lumen, high-resolution projector designed for live events. Boasting 4K (4096 by 2160) native resolution and 3DLP quality, and built-in Christie TruLife image processing to provide the high bit depth and fast frame rate, the Boxer offers feed and performance flexibility.